Pawn your Diamond Necklace! Instant Loans on Diamond Necklaces! If you’re a collector of fine jewellery, you may be wondering ‘where can I pawn my diamond necklace in London?’ At New Bond Street Pawnbrokers, we can help. We have many years of experience appraising all kinds of jewellery, including quality diamond necklaces. You can trust us to take the greatest care with all your valuable pieces while offering you an accurate and fair valuation. When looking for loans on diamond necklaces within the London area, it’s essential that you find a pawnbroker who will pay you what your piece is worth. Our highly specialised expertise means you’ll never receive a loan that’s short of what your accessory is worth. Diamonds can be considered to have the greatest levels of desirability amongst gems. Famously used to accessorise across the whole world for centuries, diamonds offer timeless sophistication for anyone who wears them. Diamonds are without a doubt luxurious precious stones, but they come in varying degrees of quality that affects their price. Factors from the size to the purity of a stone can make a necklace’s value fluctuate, meaning an expert eye is essential to getting a fair price. 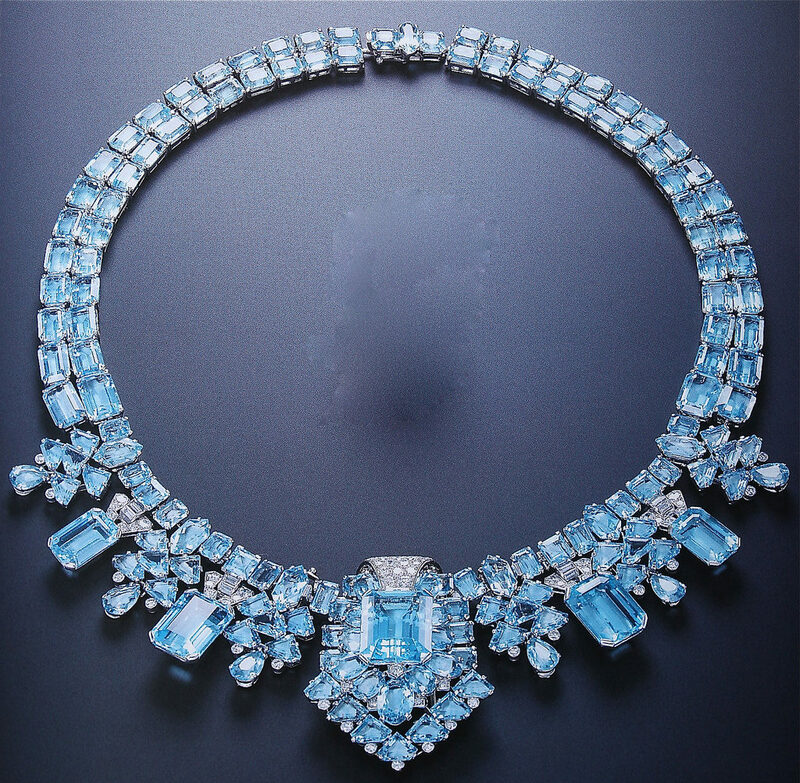 To illustrate this fluctuation in value, note that ‘The Farnese Blue’ diamond was sold for an amazing $6,713,837 in 2018. It was a rare appearance having been kept within various royal families for years before. This meant very few even knew it existed. However, it is possible to purchase diamond necklaces for several hundred pounds if the carat and purity are lower. Loans on diamond necklaces are not fixed, so bring your precious piece to our team for evaluation, as it can be difficult for the untrained eye to tell how much your jewellery is worth. Clarity: As diamonds are formed naturally rather than created in a factory, lots of them have flaws. These can be surface blemishes, which are made up of things like chips, cracks, or marks. Depending on their severity, they can be difficult to see. It can be harder to know whether your diamond has internal defects, which are called inclusions. These might be because of impure materials that have become trapped within the diamond or air bubbles. Cut: Diamonds need to be properly cut in order to maximise the amount of sparkle and shine they emit. Classifications come in a range, with ideal being the best and poor the worst. In the middle, there is a range from excellent to fair. Colour: Although you might think your diamond is colourless, completely colourless diamonds are exceptionally rare and priced very highly. Most diamonds that seem colourless actually have varying shades of white or yellow within them. The closer to colourless your diamond is, the better it will reflect light, and the higher its value will be. However, noticeably coloured diamonds, for example orange or pink stones, are also very rare, meaning they’ll fetch a higher price. Carat: Carat is how the weight of a diamond is referred to, with higher carats being of a greater value as the stones are bigger. However, larger stones that are less pure or have other defects could be worth less than smaller stones that are of exceptional quality. If you are considering “I want to pawn my diamond necklace” contact us at New Bond Street Pawnbrokers for a no obligation appraisal. We’ll help you get started on your pawning journey with minimal paperwork and no hidden expenses. For more information on services provided by New Bond Street Pawnbrokers please watch our video here and read about the loan process here.